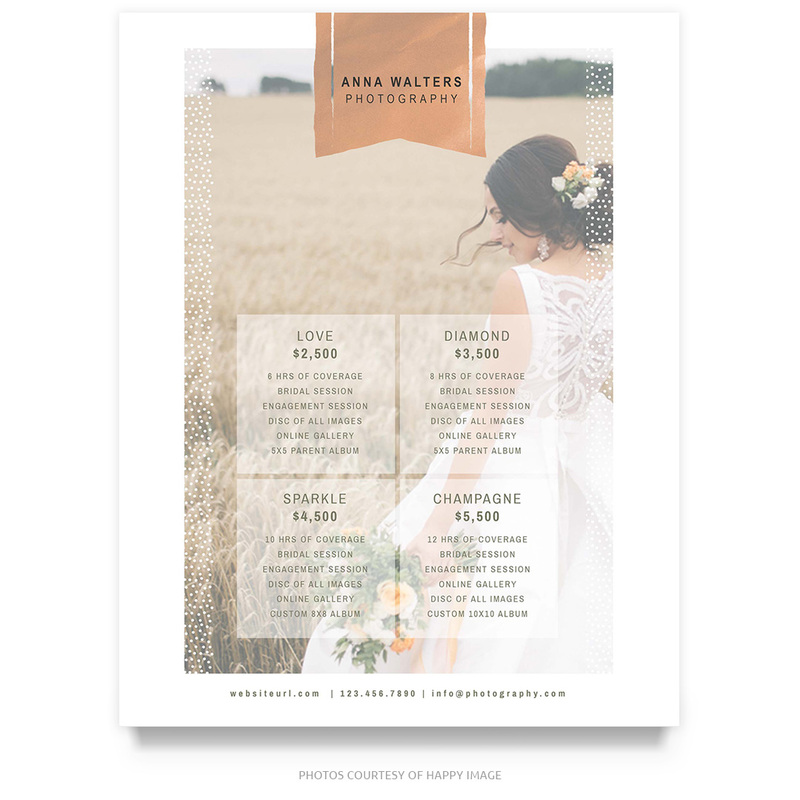 This pricing guide template is perfect for displaying or sending your pricing information to clients. With a clean, sleek design, these guides are are a great way to engage new and existing customers. You can decide to print or go digital. This design utilizes our gold foil elements with a slight adjustment to the hue to give it a bronze tone. Easily adjust the colors to fit your favorite palette in this easy-to-use psd template. Mockaroon brings Photographers marketing templates and design assets at an amazing price. Join today for full access to our library of pre-designed Photoshop Templates, Overlays, and much more. Unlimited access to photography templates and design assets for $10 per month No commitments and you can cancel at any time. © Mockaroon 2018. All Rights Reserved.